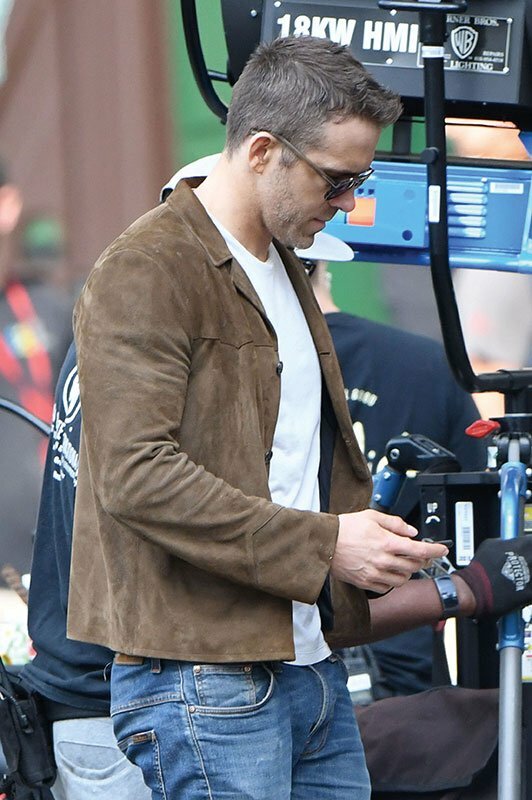 Co-Producer Ryan Reynolds was seen arriving on set wearing blue denim jeans, brown jacket, and sunglasses as he checked up on the Deadpool 2 set before suiting up! 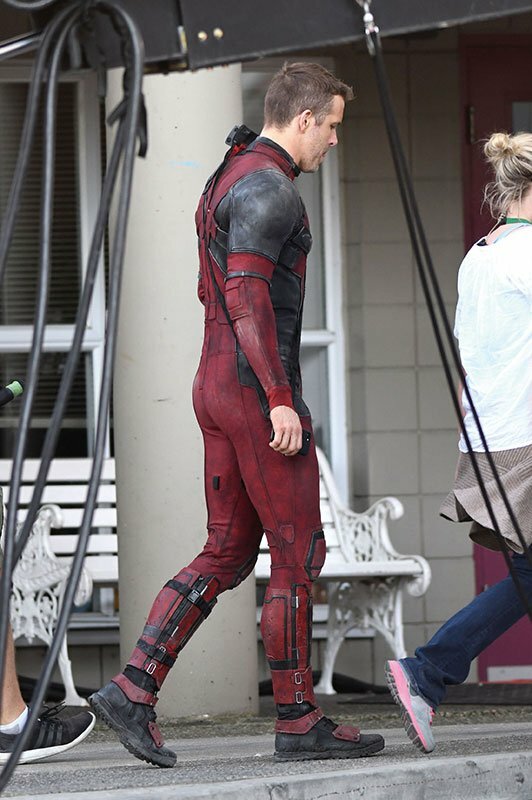 The Deadpool star was seen texting on his phone as he looked on at the days filming ahead. 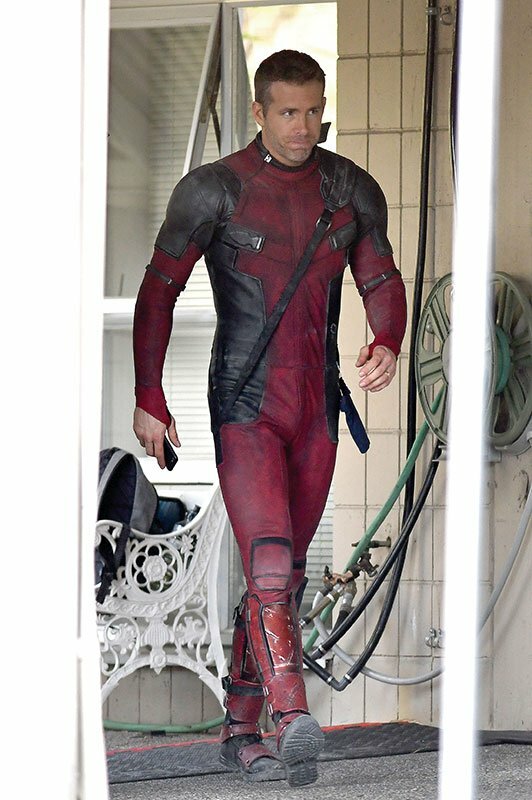 He then suited up and was pictured filming a junkyard scene with co-star Zazie Beetz after arriving on set. 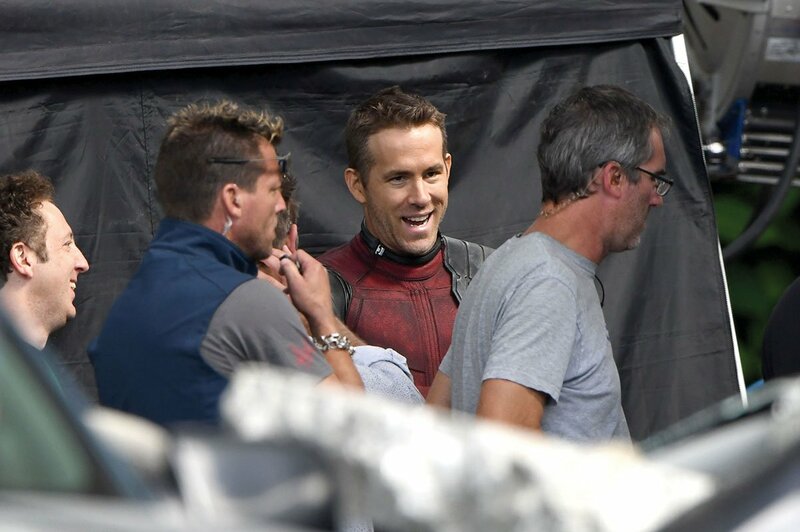 Ryan shared a picture on his Instagram account (below) after working with the Vancouver Police Department all day for exterior action sequences on the untitled Deadpool movie. Two of Ryan’s elder brothers work as police officers in British Columbia and one is a Royal Canadian Mounted Police member. Josh Brolin, who plays Cable in the highly anticipated sequel, shared a funny picture of himself posing with a mini-Deadpool character! 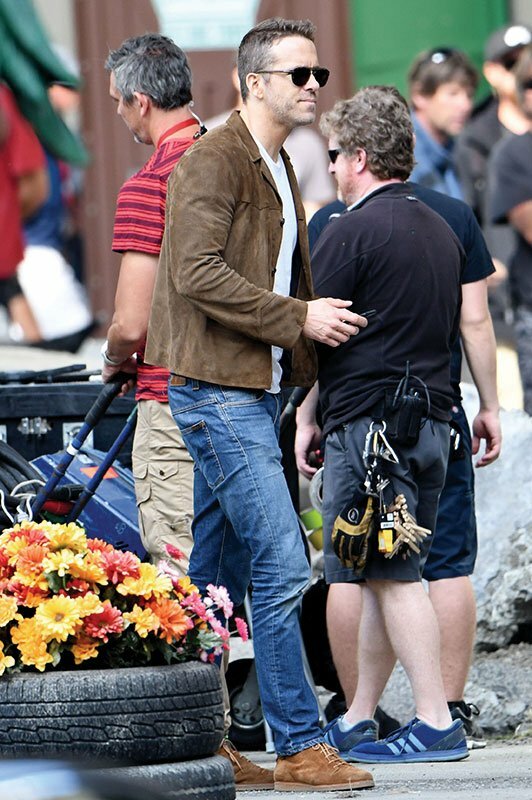 Ryan has been in his hometown of Vancouver, all summer preparing for the 5-month long shoot of the upcoming movie. 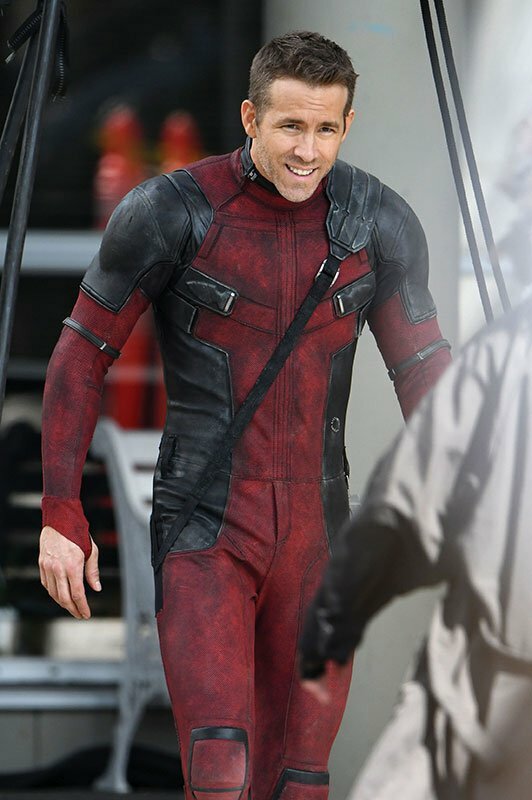 The first film smashed all expectations at the box office with Ryan’s humorous wit and style being channeled through the Marvel character Deadpool. 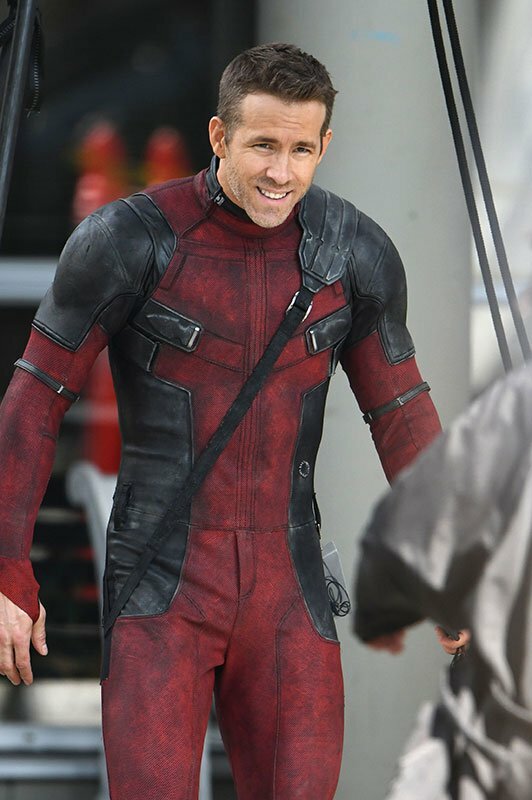 PICS: Ryan Reynolds character Deadpool gets stuck on a Billboard!